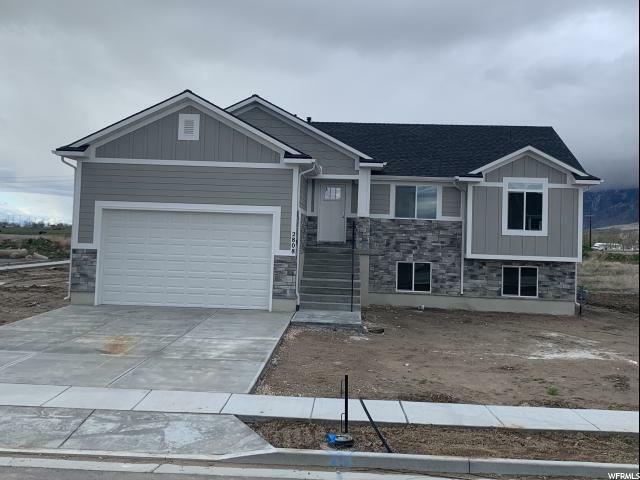 All Plain City homes currently listed for sale in Plain City as of 04/21/2019 are shown below. You can change the search criteria at any time by pressing the 'Change Search' button below. If you have any questions or you would like more information about any Plain City homes for sale or other Plain City real estate, please contact us and one of our knowledgeable Plain City REALTORS® would be pleased to assist you. "This home has it all! Beautifully maintained with upgrades throughout. High-end WOLF appliances, built-in paneled fridge, custom cabinets and dual furnaces. Open living space, vaulted ceilings, great for entertaining. Huge master bedroom; master bath has walk in shower, separate water closet and double sinks. Add to that a dead-end street and a backyard that borders a protected wetland, no backyard neighbors to block your view of Plain City's beautiful sunsets. Agent is related to seller." "Immaculately kept 2-story with the master suite on the main level offers a bright and open floor plan. You will love the tranquil setting and country atmosphere of this established neighborhood. You will also appreciate the connivance of being within walking distance of Fremont High School. Fantastic curb appeal with a welcoming feel. 3 Bedrooms plus a large bonus room on the top floor and ample room for entertainment on the main and lower levels. Bright and neutral colors throughout. Good sized back yard that is fully fenced and landscaped. Horse property located behind gives you that open pasture with no neighbors. Unobstructed views of some of the best sunset views anywhere. The outdoor lighting on this home provides both practicality and a pleasant ambiance in the evening. Upgraded cabinets with under-mounted lights and a large pantry all with beautiful rich colors! Large covered deck and an RV pad that runs the full depth of the property!! Walk out basement with home office and a third of the basement has been professionally finished. As a huge bonus the newly installed solar panels are included!! Save Save Save on your power bill!! Square footage figures are provided as a courtesy estimate only and were obtained from County Records . Buyer is advised to obtain an independent measurement." "Fully finished raised rambler, South facing, beautiful view the mountains from the back deck, featuring vaulted ceilings, rock fireplace, upgraded kitchen with gas Thor cooktop, double wall ovens, upgraded white cabinets, quartz countertops, Bosch dishwasher, stainless steel refrigerator, and a pantry the size of a bedroom! You will love the huge main level master, with in-set ceiling, en-suite bath featuring separate soaker tub and shower, privacy bath, and spacious walk-in closet. Other features in this home included main floor laundry with built cabinetry, mud room with seating and hooks to make organization a breeze, two-tone paint, upgraded lighting, upgraded grid windows, laminate wood flooring, sliding barn door on the pantry, rock on the front with smart siding around the entire home rather than stucco. The basement has also been fully finished with 3 large bedrooms, bathroom with double sink vanity, spacious great room, huge windows, cold storage space, and walks out to a concrete patio underneath the covered Trex deck. The covered Trex deck with built-in gas line, lighting, and railing will make you fall in love with your outdoor space. Plus, check out the massive garage! The 3rd bay goes the depth of the home to fit 4 or more cars and has a separate roll-up door in the back for easier access of your yard equipment, it can even fit an RV! 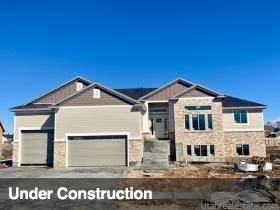 Pricing based upon this home being built on lot 229 Taylor Parks. 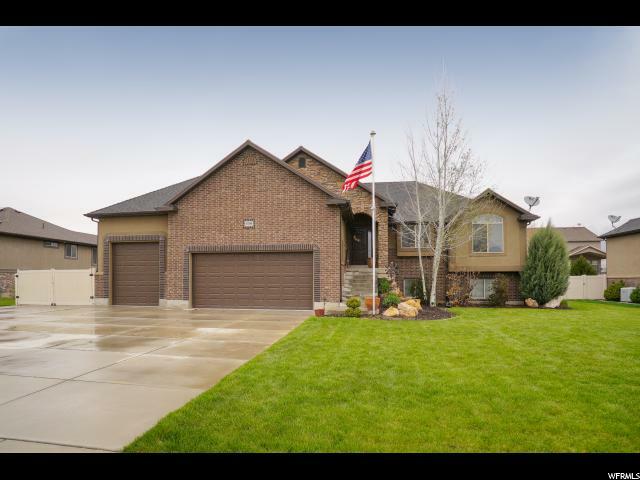 3948 W 2350 N Plain City Utah 84404. Buyer to verify all. Interior photos show images from another home with the same floor plan. Head West on 2700 N. into Plain City, turn South onto 4100 W., and go 3 blocks. The Heritage Craft Homes model will be on that corner facing North. Turn in front of the model home heading east, take your first right, then your first left, it is the second home in on that road facing South. " 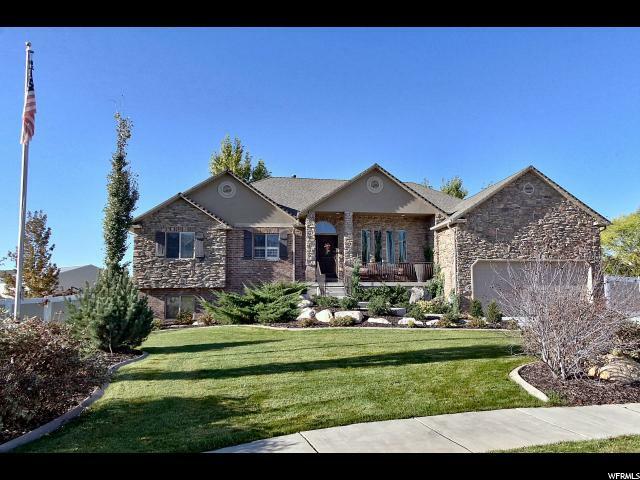 "Bring your horses to this gorgeous home in Plain City. This rambler has a very open main living area. Spacious kitchen with lots of cabinets, tile countertops, island bar, dual pantries, gas range, and lots of natural light. Hardwood floors in the formal living/sitting room with a gas fireplace. Newer carpet upstairs. Huge master bedroom with door out to back deck. Deck runs the entire length of the back of the house. Other bedrooms are large and have lots of closet space. Completely separate mother-in-law apartment with full 2nd kitchen - very spacious. Daylight walkout basement with entrance. Downstairs apartment is easily accessible and has its own parking area. Basement has a cold storage/gun-safe room with a metal door. Two water heaters. Heating is both gas furnace, and radiant heat. Backyard is neatly landscaped and has a patio area perfect for all your get togethers. Also, separate driveway on the other side of the house to access the back shop/lot. Large storage shed, dog run, and lots of dirt parking in the back. Includes a 40x100 shop (used as an indoor horse area), with a 40 ft round pen for horses, and still tons of space! Back of lot is a large, fenced pasture area. Quiet, country living with nice separation from the neighbors. Home faces south, and driveway is asphalt." " Home is under construction this is the time to choose your colors or make any upgrades. 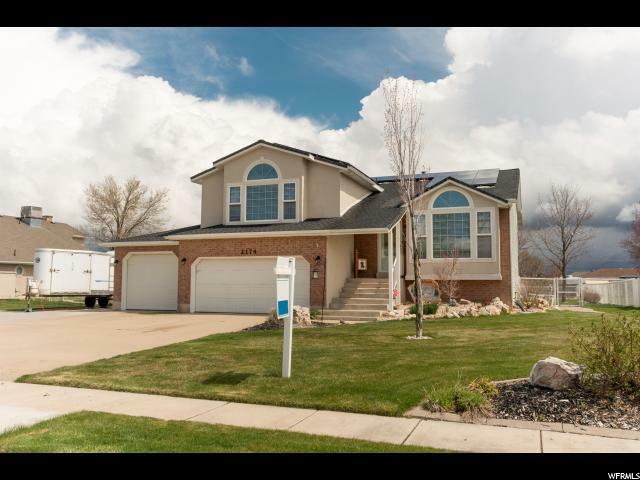 This home has it all, great area close to schools shopping I-15 parks and more. Plain city living at it's best. Call agent for more information "
"If you do not want to build but you want brand new this home is for you! Beautiful one owner just over two years old. Corner lot fully fenced and landscaped. 14 trees already planted and thriving. 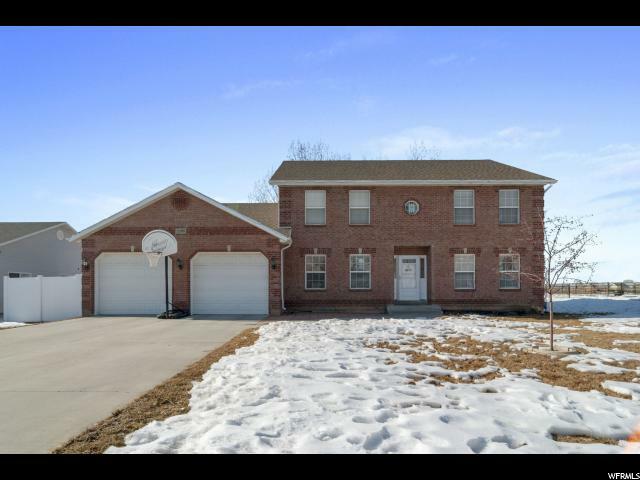 Open floor plan, vaulted ceilings, bonus room above garage custom cabinets, large walk-in pantry, tile throughout, double water heaters! Daylight basement features oversized family room and large indoor storage room. Plantation shutters throughout. Yard is fully finished with too many extras to list! Square footage figures are provided as a courtesy estimate only. Buyer is advised to obtain an independent measurement." 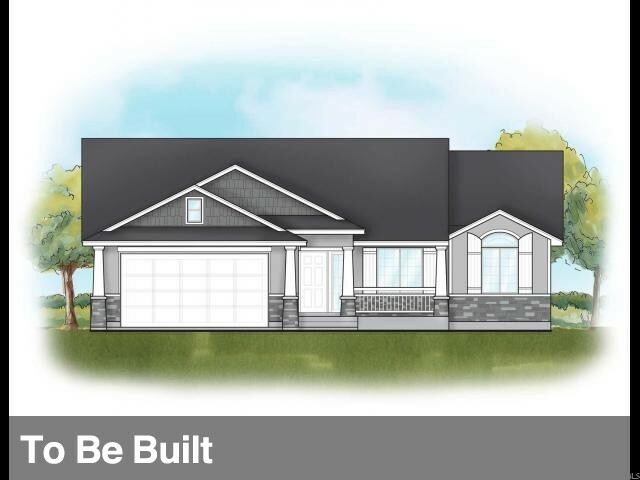 "This Brand New Rambler features 3 bedrooms and 2 bathrooms on the main floor, spacious bonus room upstairs, main level laundry for convenience, along with a full unfinished basement for room to grow. The home also features vaulted ceilings, an open floor plan, en-suite master bath, large walk-in closet, quartz countertops, corner pantry, upgraded white cabinetry, quartz countertops, glass tiled backsplash, upgraded flooring, two-tone paint, rock fireplace, covered Trex deck and gas line for BBQ. Plus a 3 car garage with sink and man door to the back yard. Close to the Lee Olsen Park, schools, and minutes to commuter access, shopping, and dining but still on a huge lot in the country. Home just barely completed and ready for a new owner. Builder can finish off the basement with 3 more bedrooms, a bathroom, rec room, and storage, for $26/sq ft to make a 6 bedroom, 4 bath home. 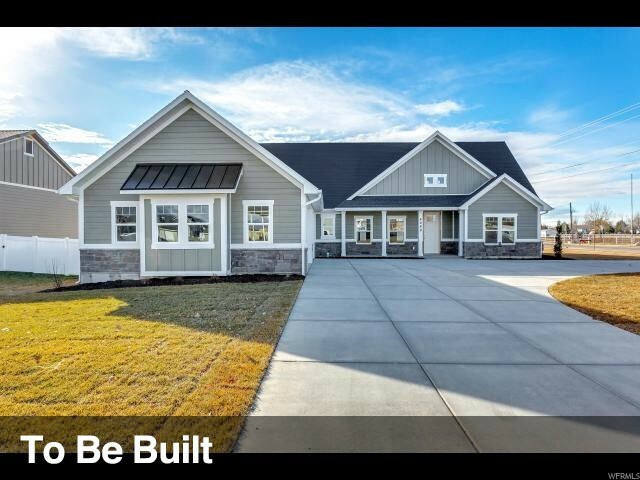 Heritage Craft Homes Model is located at 4089 W 2400 N, Plain City 84404. (Head West on 2700 N. into Plain City, turn South onto 4100 W., and go 3 blocks)"
"This is the Heritage Craft Homes Decorated Model built in 2018. The listing describes a To Be Built similar to this one. Call agent to schedule a time to walk through and see what is offered to build one just like it. Lot Premium Costs Vary. Many other Plans and Lots to choose from. New Construction homes may vary from those built. Not all features in existing homes are standard inclusions. See sales office for details. 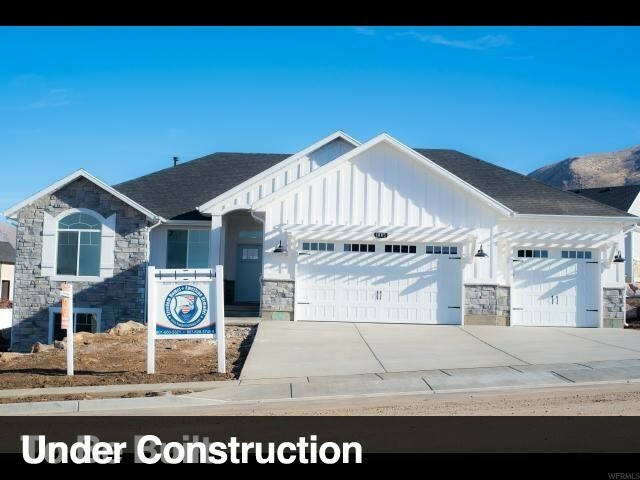 Model Home showing this floor plan is located at: 4089 W 2400 N Plain City, Utah 84404. 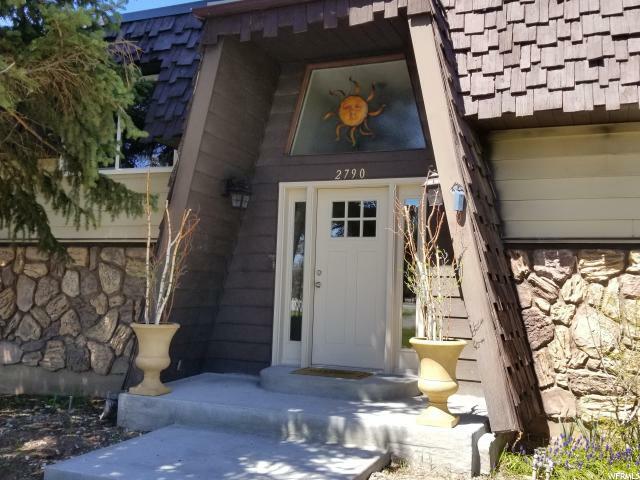 (Head West on 2700 N. into Plain City, turn South onto 4100 W., and go 3 blocks)"
"The Avery plan is a 3 bedroom 2 bathroom rambler, 3 car garage, main floor laundry and full basement for room to grow. Pick your finishes..Including cabinets, countertops, two-tone paint, flooring, lighting, and appliances. Call Agent for Questions on Changes to Plans and Pricing on lots. 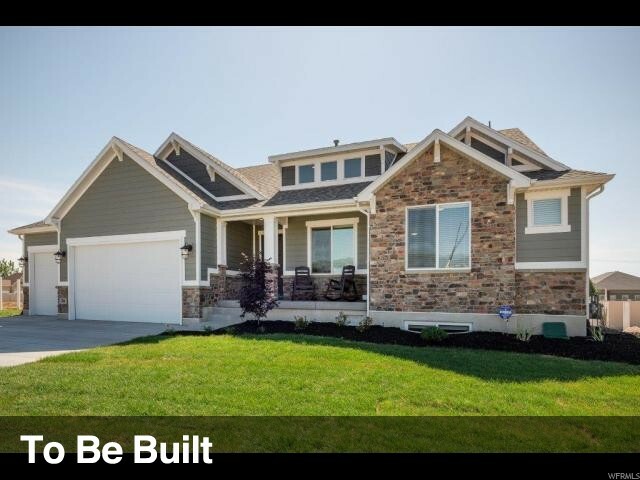 Heritage Craft Homes Model is located at 4089 W 2400 N, Plain City 84404. (Head West on 2700 N. into Plain City, turn South onto 4100 W., and go 3 blocks). Pricing is based on lot #212 Taylor Parks." "You still have time to pick out your colors if you hurry. Come look at this home and make it your own. This home is in a good neighborhood close to schools, shopping dinning and a lot more. Square footage figures are provided as a courtesy estimate only and were obtained from county records . Buyer is advised to obtain an independent measurement." "Custom Farm house at it's best! From ship lap to barn doors, and pattern tile, this home has it all! 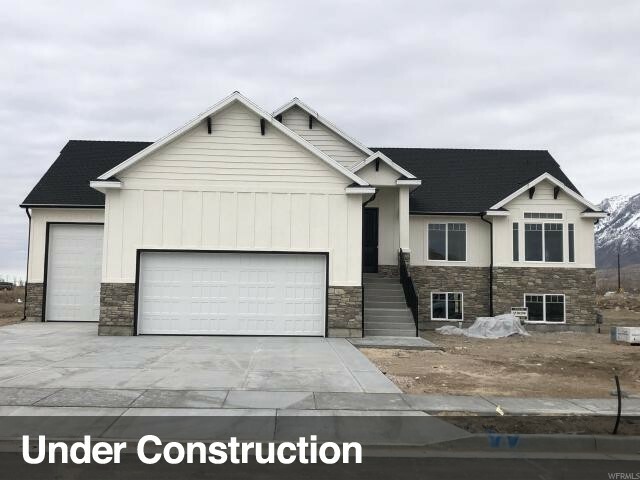 Custom white cabinets with a hood, quartz countertops throughout the home, 3 tone paint, gas fireplace,master bath walk in shower with 2 shower heads, large walk in closet, family room in the basement is finished. Walk out from garage to basement and also walk out to patio from basement. Covered Trex deck that also covers the patio. This home is move in ready! " "Stunning rambler features an open floor plan, large great room with vaulted ceilings and gas fireplace, new carpet, new paint, big kitchen with staggered cabinets and a giant 2-tier kitchen island with thick granite countertops, oversized headers above doors, main floor laundry room, large master suite with a separate jetted tub/shower and a double vanity in the bathroom, fully finished walkout basement, cold storage has been converted into a safe room, massive 3-car garage, 70 ft. RV pad, fully fenced yard with a spacious covered deck, patio under the deck and professional landscaping. Basement has been plumbed for a kitchenette. Sq. footage per tax data records; Buyer to verify all information. " "You have got to see this one! You will love the large half acre lot, every inch has been thoughtfully planned and is well maintained. The cultivated garden spot and raspberry patch produce delicious produce. The large 24 X 30 workshop has 12 ft walls, insulation, and electric service. The yard looks amazing; the lawn is well established and maintained with beautiful flowerbeds and concrete curbing. Two big RV pads and an extra deep 3rd car garage ensure that you will have plenty of space for your toys. The covered deck and patio give you lots of entertaining options. Inside there have been many improvements, the solar and HVAC upgrades alone will save you thousands of $$'s and provide comfort year round. How does an average of $8/month sound for your electric bill? Enjoy your own private space in the large Master suite. A large kitchen, big windows, and a smart floor plan make spending time at home a pleasure. With 10ft ceilings in the basement and all windows above grade, you'll never feel closed in. HUGE storage room under the first level. New roof, solar, and HVAC have all been upgraded within the last few years. The HVAC has been smart zoned into 3 separate sections; heat and cool the rooms you want and not the others. So much more, you just need to come see it." "Want a home with no stairs from outside but that also has a bonus room for additional space? This brand new custom home offers one level living, all bedrooms on the main level, spacious master bedroom with on-suite bath, oversized walk-in shower and large vanity, granite counter-tops and stained knotty Alder cabinetry throughout, beautiful kitchen island with sink built in, black stainless steel range, over the range microwave, and dishwasher, plenty of cabinet space, and a corner pantry. 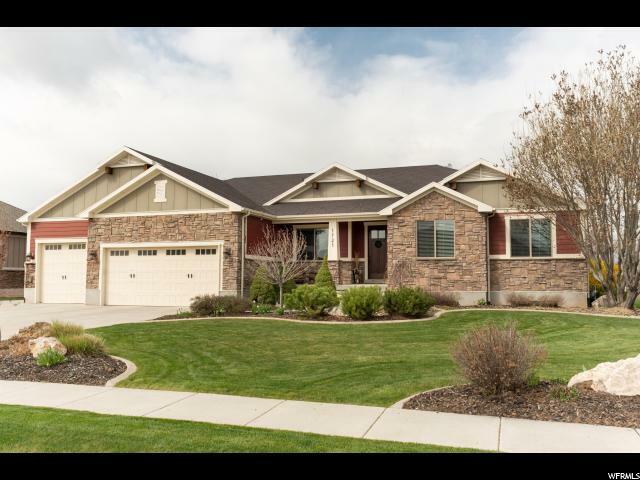 Home also features a rock fireplace with mantle, large main floor laundry, covered back patio facing North with beautiful views of the mountains, 3 car oversized garage, and the home faces South to make snow melt a breeze in the Winter. Home is about 45 days from final interior completion and final grade of the exterior landscape. Home is located close to Remuda Court Golf Course, the New Silver Ridge School, and just minutes to commuter freeway access. 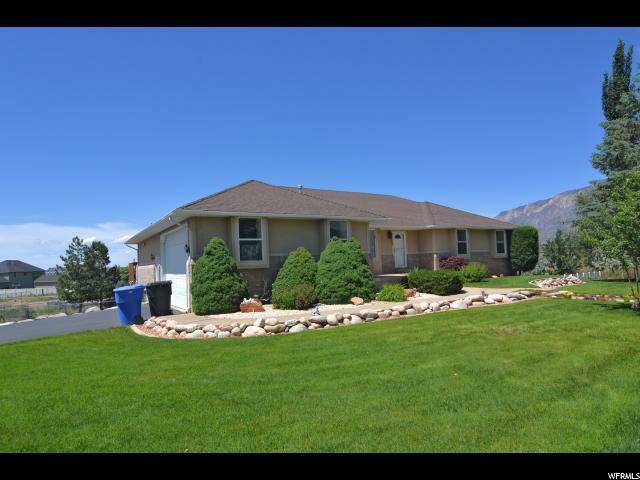 Location roughly 2786 W 3375 N, Farr West, Utah 84404 Please text the agent to tour this home." 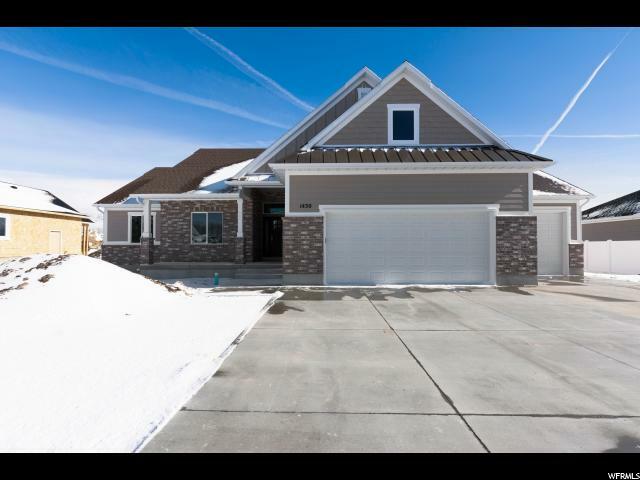 "Don't miss this gorgeous brand new costume patio home in Plain City. Beautiful kitchen w/ upgraded everything! Quartz countertops, beautiful laminate flooring and tile. Neutral colors throughout. Bonus room with bathroom for your guests or playroom. Open great room and kitchen, Gas fireplace, Master suite with master bathroom. Main level living! Extra deep third car for your toys. You will notice all the amazing details in this home! This is a must see. " "Extra spacious 4 bedroom, 2 brand new Sand/Swirl bathrooms. Fenced backyard, amazing garden, parking for multiple RVs/trailers. The best man cave ever with additional garage/out building big enough for any project/hobby. Kitchen has tons of storage and large pantry. Huge closets throughout. Large office/craft room. Kids will love bonus room for playing legos or gaming. Great home office with beautiful glass doors. Close to elementary/jr bus picks up in front of the house, Fremont less than mile. Square footage figures are provided as a courtesy estimate only. Buyer is advised to obtain an independent measurement." "Don't miss this gorgeous patio home in a wonderful new neighborhood in Plain City. Nice open floor plan with vaulted ceilings. Neutral colors throughout. Gorgeous kitchen with quartz countertops, stainless steel appliances w/ double oven. Beautiful master bathroom w/ walk in closet. One level living at its finest. Custom builder that does all the upgrades and quality construction you could ask for. This is a must see! Exterior will be brick and hardie. Inside colors are attached to photos. Estimated completion is 45 days. " "PRICE REDUCED!!! Gorgeous, clean, almost-brand-new, rambler in beautiful Plain City! This house is so pretty! Large great-room with open layout, and lots of light. Stunning white kitchen with granite countertops, breakfast bar, and a large walk-in pantry. Spacious master bedroom with huge walk-in closet, and private shower. Plenty of space for storage in the unfinished basement, and the yard is a blank canvas with plenty of possibilities! Seller will be getting more dirt delivered soon, to better level out the front yard. Schedule a showing today!" "This beautiful quaint community provides the luxury of a peaceful & inclusive lifestyle. We are confident you will appreciate the inescapable beauty of the mountain views. This Home Design has a large open floor plan with custom kitchen, granite counter-tops in kitchen and baths. The great room features vaulted ceiling, and wall of windows capturing the inescapable mountain views, Spacious master suite, with large walk in closet...and many more features most builders up-charge for. BUY NOW TO PERSONALIZE YOUR HOME!! Pictures of a similar home and details may vary. Home is under construction." "OPEN HOUSE 4/13/19 12-6 Stop By! *Amazing CUSTOM built Rambler w/choice of 3 subdivisions & several floor plans located in the heart of Farr West* This home boasts many upgrades stainless steel appliances, Granite, Tile*Open floor plan w/natural sunlight* 9ft ceilings in basement* Master suite, walk-in closets*Vaulted interior*WE ARE NOW OFFERING $3000 towards upgrades/closing costs if contracted by April 30* Easy access to freeway*Stop by the Model home and let us build your Dream home! 2415 W 2775 N Farr West! *Meet a builder that is willing to change a floor plan to meet your needs* "
"Brand new south facing rambler located in the S-Curve Subdivision. Extra large 2-car garage, 10x10 deck, extra large pantry, large great room finished down stairs. Upgrades include granite counter tops, tile and lighting. Located in a cul-de-sac. " "COMPLETELY REMODELED Home on .66 of an acre. Large 2 car shop and workshop will be someone's dream come true! NEW EVERYTHING!!! Granite Countertops, Paint, Double Pane Windows, Fixtures, Lighting, Central Air, Furnace, Bathrooms, Carpet, it's all new!! Basement is a perfect setup for a Mother-In-Law apartment or Live In Rental with a separate entrance. Large animals welcome! Circular Driveway & tons of parking with 1 Car Attached Garage and 2 Car Detached Garage. Plenty of room to park the RV, Boat and all of the toys! 7 fruit trees: apple, pear, plum & cherry and space for a garden! This home is built solid and to last with 2X6 construction. Membrane roof is approximately 4 years old. How would you use all of this space? There are so many possibilities!! Agent is part owner. Don't miss your chance to make this home yours!" "Build our Monterey Home Design. We have this Home Design as a model in this community. Master suite with separate tub and shower, walk in closet. Vaulted ceilings, beautiful kitchen with knotty alder cabinets, granite included in kitchen and master bathroom. Main level laundry. Photos are representative. 3rd car garage can be added for $9,240.00 Let's build your Monterey in Plain City today on this .36 Acre Lot. Call for appt. Other home designs and home sites available in this, and many other great new neighborhoods. Price reflects using our preferred lender promotion. Thanks!"